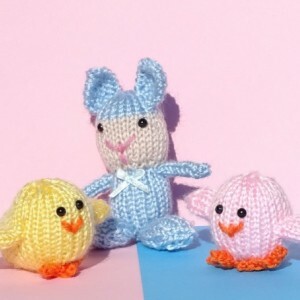 The adorable bunny holding a pink flower is a perfect gift for child and adult. The stuffed bunny with flower has embroidered eyes and mouth. 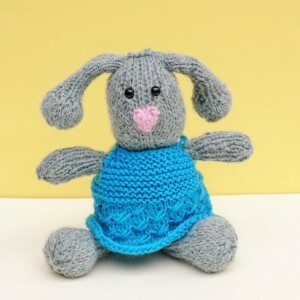 The bunny is hand knitted in a smoke free environment. The cute bunny is approx. 9" tall and 14" wide. The bunny with a flower is ready to ship! Materials: acrylic, non hypoallergenic poly fill.